Imagine being able to see what your special bundle of joy is really doing inside that beautiful baby bump. 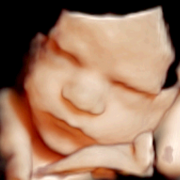 Come to Pink-A-Blue 4D Ultrasound and have your baby’s first photos taken months before delivery! 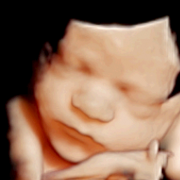 At Pink-A-Blue 4D Ultrasound we use state of the art technology, so you can rest assured you will be able to see not only what he or she is doing, but also exactly what your baby looks like!! Your appointment will be an amazing experience you and your loved ones will remember for a lifetime. Please don’t be fooled by some facilities’ false advertisements claiming to have “only the best experienced sonographers.” Know the right questions to ask when you are scheduling your appointment with an ultrasound facility. At Pink-A-Blue, we ONLY staff Registered Ultrasound Technicians. Every package will include the baby’s heart rate, positional information, a weight measurement, and more that can only be done if your technician is medically trained. 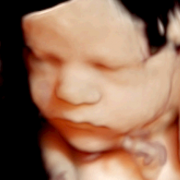 We hire only ARDMS registered ultrasonographers with years of ultrasound scanning experience. We invite you to use your cell phone or tablet to Face Time your loved ones during your appointment! For every point in your pregnancy!